Most of us are used to flashlights, but technology has advanced enough so that you no longer have to stick to light sources with dinky yellow beams. However, there are also those who prefer headlamps because they leave your hands free for other tasks. Beam angles — Take note that a headlamp shines “from a fixed point” and with a flashlight, you can use your hand to capture different angles of light. When you’re in tricky situations, the different angles and adjustability of a flashlight can be more useful compared to the fixed depth-of-field of an LED that’s strapped to your forehead. It might be a good idea to bring both when traveling at night so you always have a light source for different scenarios. Brightness level — Thanks to vast improvements when it comes to LED efficiency, headlamps and flashlights now come with brighter beams. The brightness of most flashlights and headlamps have soared as the cost per lumen “continues to drop.” But flashlights aren’t the only things that can offer ultra-bright beams. There are headlamps with LEDs that can “shine as bright as car headlights.” When it comes to the brightest electric light source, spotlight-style flashlights with support for larger LEDs win as the best “light cannons” since they can shine lights that can be seen hundreds of feet into the darkness. Durability — Unlike sturdy flashlights, headlamps often come with straps and a small plastic housing that can’t withstand heavy use. Flashlights are built to last and they are more versatile than headlamps. 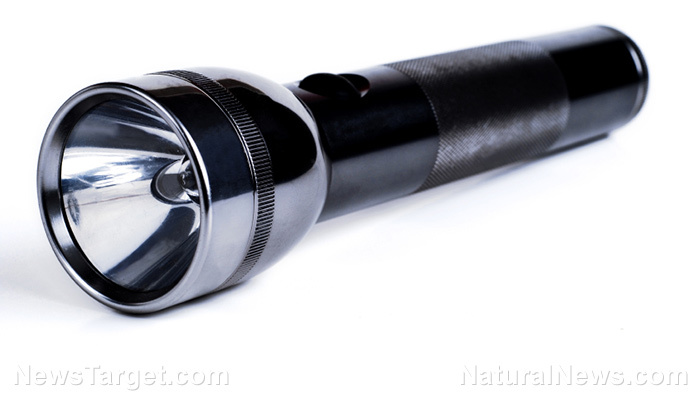 With a “solid aluminum cylinder,” flashlights are usually sealed with gaskets so they stay watertight. These portable light sources can work just fine even after being tossed around in a backpack or in the trunk of a car. Form — Your preference when it comes to this factor depends on how often you’re going to need both hands when you”re outdoors. If you’re a beginner at camping, you might favor flashlights. But keep in mind that with a headlamp, both your hands will be free. This is useful especially if you’re cycling or setting up camp. Price — The two options have different price ranges, but flashlights are often cheaper than “comparably-bright” headlamps. This is usually because making a flashlight requires fewer parts. Tech trends — Unlike run-of-the-mill flashlights, some headlamps will have a “reactive lighting” feature that allows it to auto-adjust its brightness. Along with other upgrades, reactive lighting gives headlamps an edge that flashlights don’t have. Clean your gear — Don’t skip this step. Always clean your shelter, food boxes, utensil boxes, and your other gear. Don’t forget your sleeping bag. Dry off everything — You might not have enough time to let everything dry out when packing up at the campsite. But once you’re back home, dry out all your gear so nothing rusts or gets moldy. Fix anything that’s broken — You could end up wasting time trying to fix a stuck zipper or some torn canvas, which could have been prevented if you checked your gear before you put everything away. Attend to mechanical repairs right away so you’re not stuck in your car miles away from your destination. Restock items — You don’t want to run out of food or other essentials when you’re already at the campsite. Recheck your items when you’re storing them so you don’t forget anything for your next trip. You can learn more about the proper winter survival gear and clothing at Gear.news.